This game is indicative of how the Morgan State Bears were playing before last week’s win against Savannah State. 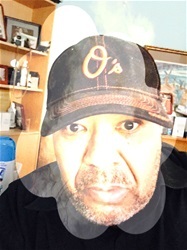 The reality seems that last week was an aberration and this week’s showing is what Morgan State's football program, a program in a state of disarray. This year's team can simply be described as an undisciplined, error-prone football team. The team lacks team leadership and team direction from the sideline to the playing field. This situation leads directly to the head coach who is supposed to steward. the ship. The ship of Morgan State football is definitely off-course and sailing into its own created stormy waters. So, after two years, Fred Farrier regime must end in 2017 because Morgan State University strives for excellence, not constant mediocrity. Let us go get a coach who is willing to aggressively recruit the MD/VA/DE/PA/NY area. We need to secure a coach who will excite not only the players to perform both in the classroom and also on Earl Banks's Football Field but also a coach who will excite the student body and the many alumni that want to support our moribund football program. There are simply way too players going to other MEAC TEAMS that should be wearing blue and orange. We have a top flight campus with so many new amenities, buildings, and national recognition. 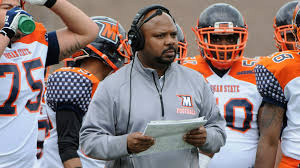 Morgan State University's football program shouldn't be stuck in the concrete of stagnation like it currently is. We hired a new Athletic Director last year to bring our entire program up to championship caliber. Let's hire a football coach who can assist him making that vision a reality.